One plug to rule them all. While traditional ThinkPad laptops have always been afforded the luxury of a built-in docking port, ThinkPad Edge owners have had to survive with less-than-ideal USB-based solutions. The ThinkPad OneLink Dock looks to change all of that by way of a proprietary combination charging and data port. Is it worth your time? What’s a ThinkPad without accessories? Business users have long relied on their ThinkPad docking stations to both simplify and expand their connectivity at the office or home, but until now, ThinkPad Edge users have been left to deal with USB-based solutions. While USB docking stations are better than nothing, there are notable drawbacks to the approach: specifically, CPU usage and data compression, both of which can affect the performance of the workstation and quality of the resulting output. 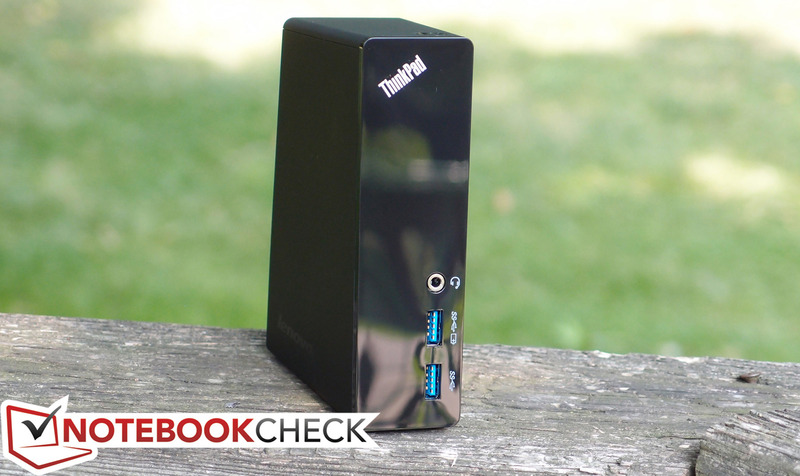 The ThinkPad OneLink Dock—thanks to the proprietary port by the same name—is the solution. New ThinkPad Edge notebooks now come equipped with this special port, which handles both power and data—and these are the only notebooks which are currently compatible with the dock. With four USB ports (two of which are USB 3.0), HDMI, audio, and Gigabit Ethernet, it’s all most users will likely need. 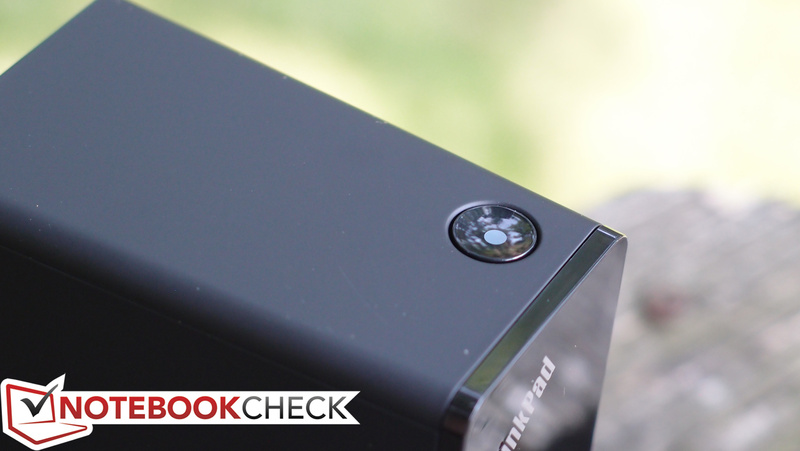 Lenovo claims that the OneLink Dock is 70% more efficient than the previous USB 3.0 dock technology. In this review, we’ll test the device to see whether or not it can perform to specifications without taxing the workstation to which it’s connected. The OneLink Dock (MSRP $119.99) feels well-built and durable, weighing in at 0.41 kg with a plastic rubberized frame familiar to ThinkPad users surrounding a metal back. The front face of the unit is a glossy black plastic. The dock comes in three colors (black, silver, and red) to match compatible ThinkPad Edge notebooks. 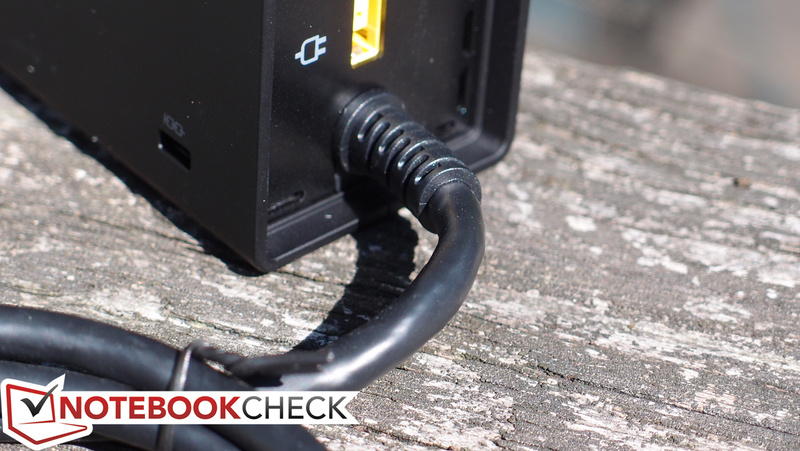 The OneLink cable used to connect the dock to notebooks is permanently affixed to the dock, but it’s thick and durable with reinforced joints near the ends. A handy rubber cable organizer is included to help keep things tidy. Meanwhile, the two USB 3.0 ports are located on the front of the unit (along with the combo audio jack), while the back of the unit houses the other two USB ports, Ethernet, HDMI, and the charging port. The Kensington lock slot is found on the right side of the unit, while the top features a sole power button which, when connected to a notebook, mirrors the operation of the notebook’s power button. We found that this feature worked well. Lenovo’s proprietary OneLink interface might seem like a confusing choice at first. After all, we’ve already got Thunderbolt, and had they chosen to use that technology instead, the dock would be compatible with any PC with a Thunderbolt port. But Lenovo points out that the OneLink port has specific benefits over Thunderbolt: for starters, it delivers not only data, but also power, and it’s also much less expensive. For our tests in this article, we used a Lenovo ThinkPad Edge E431 (configured as detailed in our review here). 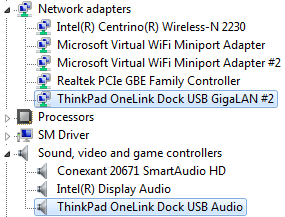 The docking station’s cable fit snugly into the notebook’s OneLink port, and upon connection was immediately recognized by Windows 7 64-bit. Devices connected to the USB ports on the dock were also instantaneously recognized. 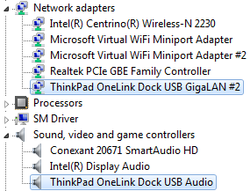 The dock is represented in Device Manager by the typical USB hub entries along with a special USB network adapter and USB audio driver (shown in the screenshot to the right). Drivers are preinstalled on compatible Lenovo notebooks from the factory, making setup quick and painless. Users can also reacquire the drivers here if necessary. 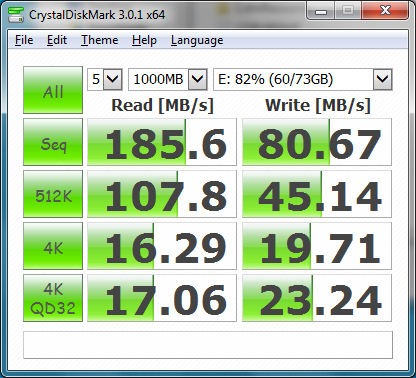 Transfer rates were tested using a USB 3.0 to SATA adapter connected to an Intel SSD rated at over 180 MB/s transfer rate (sequential read). 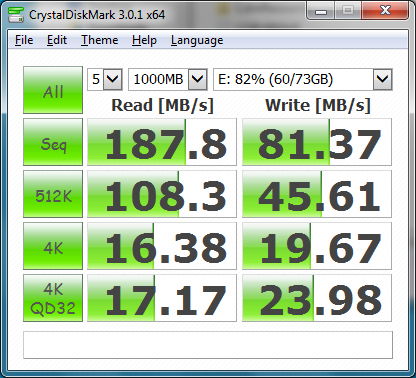 We tested the transfer rates using CrystalDiskMark with the SSD connected to both the dock and the notebook directly. 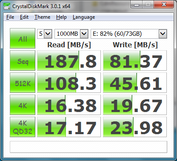 We found that transfer speeds were identical when the SSD was connected to the dock versus the notebook. In fact, the highest scores we recorded were obtained while using the dock. CPU usage was mostly negligible with an average recorded increase of just 2 to 3 percent. We next retested the speeds while playing a 1080p video through the dock to an external monitor over HDMI and noted no significant differences. The OneLink Dock features a single HDMI port for video output and no DisplayPort or VGA. 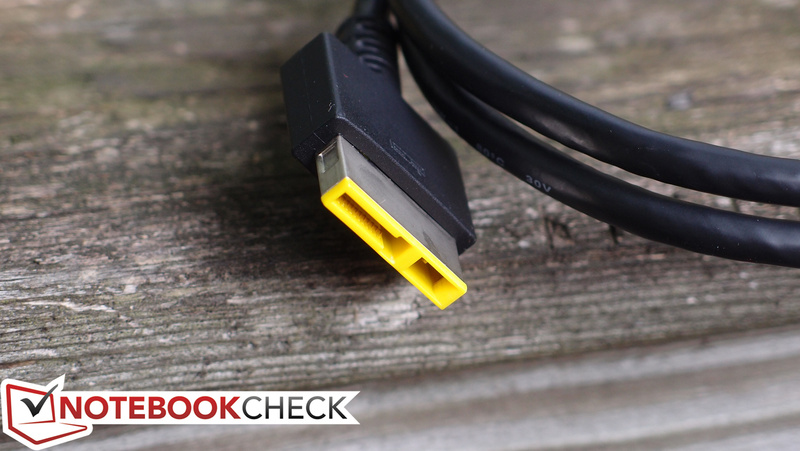 However, some OneLink bundles include an HDMI to VGA adapter for use with connection to a standard monitor, and such adapters can be easily acquired elsewhere if necessary as well. Lenovo does not specify the maximum resolution supported or the version of HDMI leveraged by the OneLink dock, but it is safe to assume that it should work with devices up to 1920 x 1200 at 60 Hz. For our tests, we used a 1920 x 1080 (1080p) external display with a measured input lag via the notebook’s native HDMI connection of roughly 65 ms. 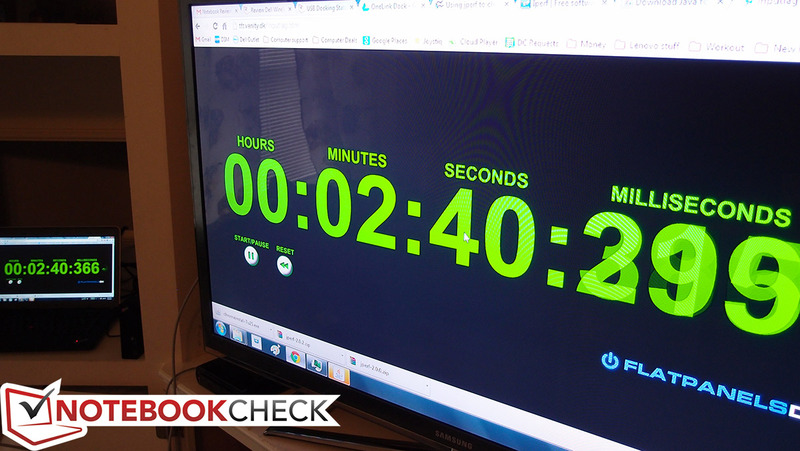 When displaying a timer on both screens simultaneously, we were able to capture an additional delay of roughly 20 ms, which is quite good for a docking station. Once again, the difference in average CPU usage was not noticeable, confirming Lenovo’s claims that the processing hit is marginal. To test the OneLink Dock’s Gigabit (1000 Mbps) Ethernet performance, we used JPerf 2.0.2 with a direct connection to a server workstation’s built-in Gigabit Ethernet port. We measured the network bandwidth over the course of a 20 second span, taking the best of two total trials in each case. Using this methodology, we recorded high scores of 285399 Kbits/sec and 285713 Kbits/sec while connected directly through the notebook and through the dock’s Ethernet ports, respectively. Additional runs under both scenarios recorded even higher scores of close to 300 Mbps. This suggests very little to no variance in bandwidth when using the dock. Thus, Gigabit users should see no discernible drop in performance. 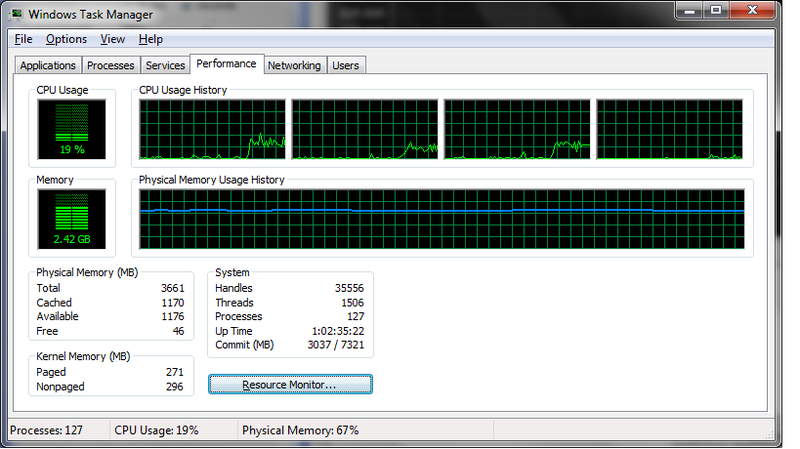 We also paid close attention to CPU consumption throughout the course of our test runs. Although it is difficult to attribute any variance directly to Ethernet communications (as opposed to the operation of JPerf itself, for instance), by looking at the difference between the overall values in each scenario, we can get a feel for the difference in load on the system while operating the dock. Again, taking the better (lower) of the four total runs, the average CPU usage throughout the course of four total runs was only negligibly different—around a couple of percentage points—and thus, close enough that we could not attribute any difference in usage to the operation of the dock. 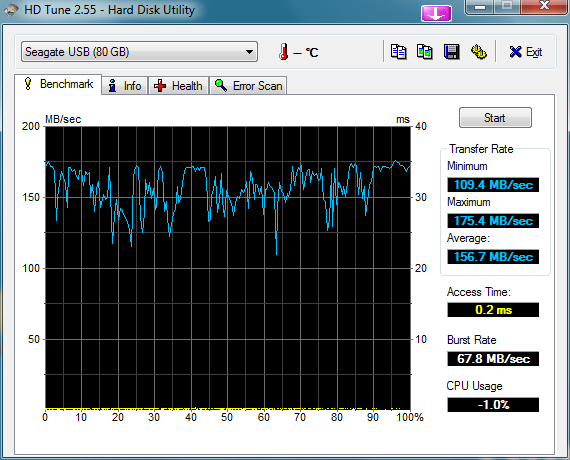 We also checked network performance when reading and writing data to and from an external SSD connected via USB 3.0 and, once again, found no difference in speed. Something more interesting was discovered during our combined network throughput and 1080p external video tests: the OneLink Dock actually provides better average network performance while connected to an external monitor than the notebook does by itself. When the E431 was connected to both the 1080p monitor streaming a 1080p-resolution trailer of The Hobbit and the server workstation used to test network performance, we measured an average network speed of 207473 Kbits/sec, as compared to the OneLink dock’s measured speed of 250869 Kbits/sec under the same circumstances (scores are taken from the best of four consecutive runs). To confirm that this performance hit was related to the notebook’s handling of external video combined with network communication, we tested again without the external monitor connected directly afterward and received a score of 225493 Kbits/sec—notably higher than any of our previous runs. 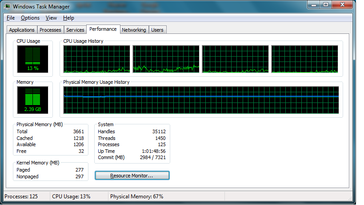 This suggests that, in some cases, performance gains are actually possible when using the dock versus the notebook’s native connections. Many users will surely still prefer the convenience of a bottom-mounted docking station port (as can be found on traditional ThinkPad models), but for those who opt for an Edge-branded ThinkPad instead, the OneLink Dock seems like an intelligent addition. Our testing revealed no significant drawbacks in terms of performance, CPU usage, or video quality while the dock was in use. As compared to existing traditional USB 3.0 docking stations, the OneLink Dock certainly shows lower CPU consumption and, in some cases, better quality video output. 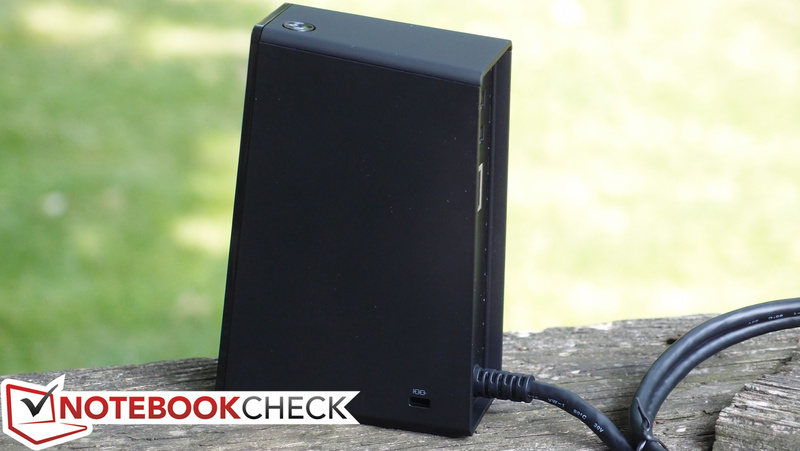 Unlike these other solutions, it can also charge the notebook by way of a single cable, which is convenient. 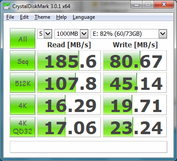 Finally, it’s priced well at $119.99 MSRP, which is around the same price as many competing USB 3.0 solutions. In short, owners of Edge notebooks have few reasons to look elsewhere. The OneLink Dock offers a seamless connection to compatible machines without the significant performance penalty or CPU demands of other options.